In honor of the 80th anniversary of the Holodomor-Famine-Genocide of 1932-1933 in Ukraine, the Ukrainian Institute of Modern Art in Chicago (UIMA) is organizing the exhibition “Artists Respond to Genocide”. The exhibition addresses genocides of the world, the deliberate massacre of millions of people targeted on the basis of group membership – such as ethnic, national, cultural, and religious. In Soviet Ukraine, Stalin and his government staged an artificial famine to eradicate Ukraine’s population, resulting in seven to ten million deaths. Such acts of horror are tragically prevalent in the 20th century – Armenia, Holocaust, Cambodia, Rwanda, Bosnia, for example – and continue to be so today. The artists participating have addressed this theme from a number of different perspectives and cultural contexts, such as – the legacy of the Holodomor on second and third generation Ukrainian-Americans; the universal fight for social justice as a preventative measure against genocide; the personal impact on family; and survival. Highlights include official competition designs, and the final stage model of the Holodomor Memorial Monument in Washington D.C., by Larysa Kurylas. It is scheduled for installation in 2014. 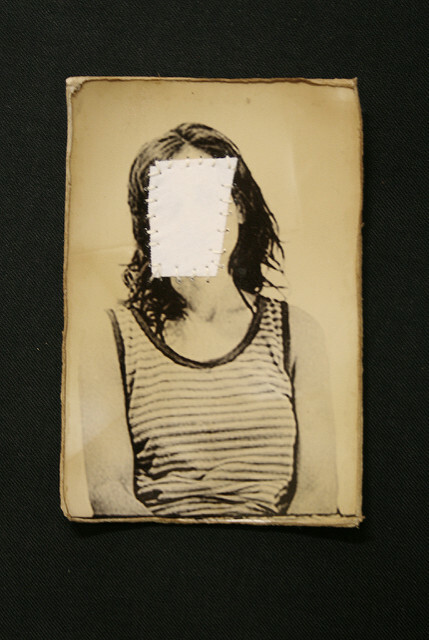 Kurylas will discuss the competition process and her project at the October 4th opening at 7pm. This exhibition features the work of 20 local, national, and international artists, including: Lydia Bodnar-Balahutrak, Evhen Prokopov & Orest Baranyk, Harold L. Cohen, Klaus Eyting, Christine Forni, Larysa Kurylas, Jason LaMantia, Arthur Lerner, Jackie Moses, Bonnie Peterson, Klaus Pinter, Mary Porterfield, Dominic Sansone, Susanne Slavick, Marzena Ziejka, Eden Unluata, Erika Uzmann, Mandy Cano Villalobos and Pat Zalisko. Untitled, 2012, paper, 12 x 8.5 in. Through interactive engagement leading to the transformation of a drawing into sculpture, the piece shifts into a substantively different level of interpretation.